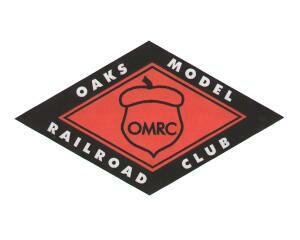 I have been posting links to the Oaks site for video and PhillyNRHS for stills weekly on Trainorders.com for the past five years and three years respectively, assuming that people would appreciate notice of new content being available rather than having them repeatedly check the websites for updates ("Are they there yet? Are they there yet? Are they THERE yet?"). Whereas I give away my content for free, Trainorders charges its patrons for the privilege of seeing video and full size stills on its site, content provided mostly by its members. This was not always the case, as Trainorders was a great site for years, and I had contributed to it frequently. Unfortunately financial considerations have required changes in the way the site is run, and unless you wanted to pay, none of the changes were for the better. I still continued to post there, but was disturbed with the increase in the heavy handed control exercised by the website owner, Todd Clark. It should be said that in the discussion guidelines that Trainorders.com reserves the right to remove any post for any reason. Unfortunately, sometimes the reason was that people questioned how the site was run. It would seem that although you paid for the privilege to post and see content, you the customer did not have the ability to complain, at least not in public. Anyone making private complaints, even paying members, were invited to leave the site. An interesting concept, I believe all businesses would like to do away with customer complaints so easily. Then, after all this time, I received this email. It has come to our attention that you are frequently posting links to offsite web sites. Our general policy regarding posting offsite links to personal web sites is that users do so only when a significant remodel or large site update has been made. It is not intended that links be made every time a new feature or other content has been added. Further, sharing of images should have some newsworthy or historical value that members of Trainorders.com as a whole shall find appealing. It seemed that now Todd viewed me as a competitor, and since I give away content that he charges for, an unfair competitor at that. The "newsworthy or historical value" line would have been especially funny if it wasn't so sad, so I decided to just stop posting there. Frankly, the only losers are Trainorders customers, but what are they going to do, complain? Would you pay for censored information and to a site that did not value your input?